Last week we received a call from the Vine City Civic Association. Members VCCA had been working with families that had been living a permanent housing program for people with disabilities. The program is facilitated by Fulton County Office of Emergency and Transitional Housing(OETH) and designed for low income families that are living with serious disabilities in the household. Several members of the VCCA had called us extremely concerned with Fulton County's treatment of families in the program. VCCA got involved after hearing multiple complaints from women in the program that had become strongly integrated into the Vine City community. Last week things moved into crisis when residents were informed that they would all have to move out of their homes by June 23rd, something that came of a shock to many of the households. 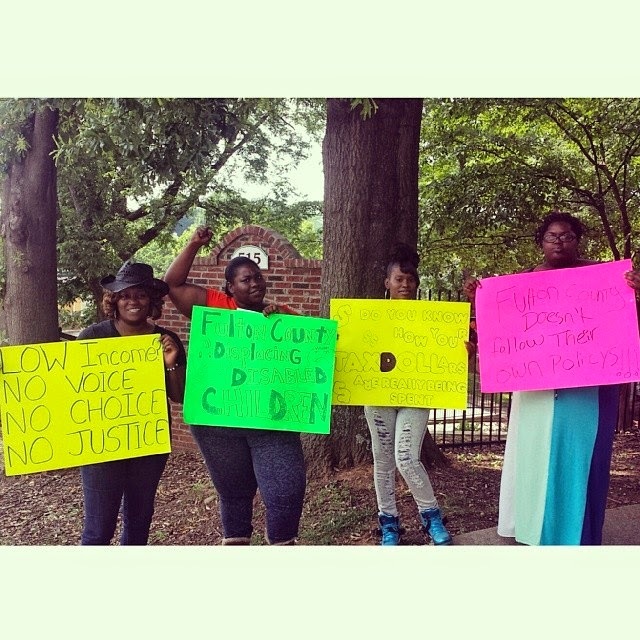 Today several of the single mothers who live in the program organized a small rally outside their community. They were joined by several members of the Vine City Civic Association in calling on Fulton County to do the right thing and treat them with dignity. 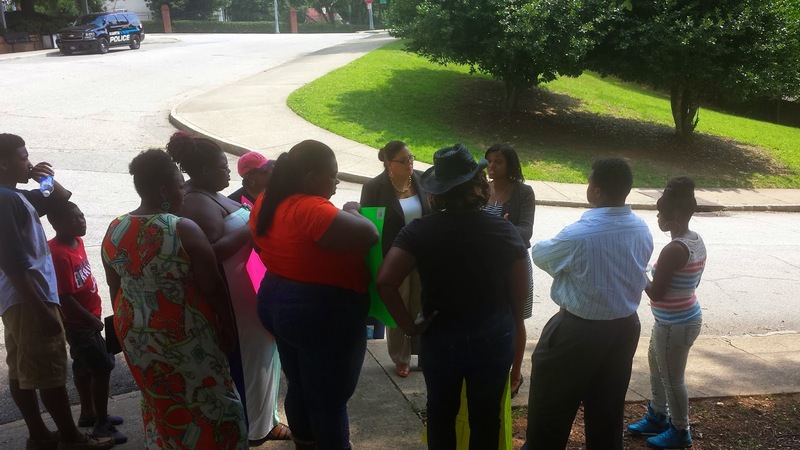 During the rally several Fulton County representatives came to Vine City residents and promised to work on the matter, though after they left a car pulled up and became taking photographs of all the women demonstrating. When residents said they preferred not to be photographed the men in the car said that folks should leave if they didn't want to be photographed. Sadly it turns out the two men in the car work for Fulton County and were driving a truck marked with the Fulton County emblem. Please SIGN and SHARE the online petition initiated by the community. 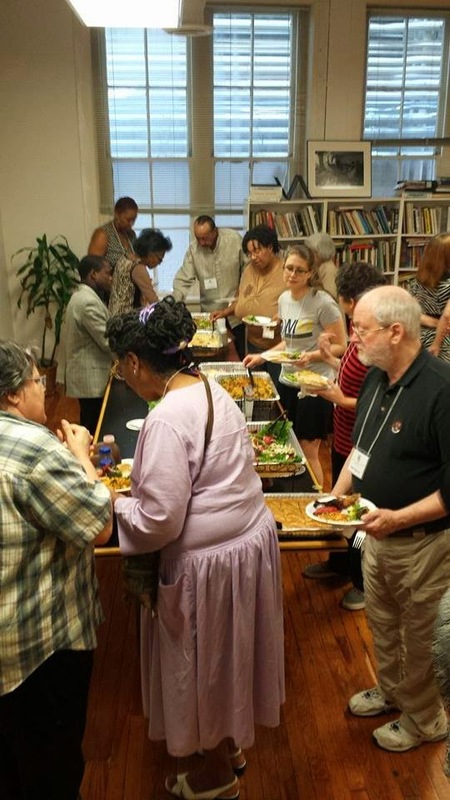 This past weekend AFSC was honored to host a Moral Monday Georgia retreat at our downtown Atlanta office. The retreat was an opportunity to reflect on our strengths and weaknesses, where we have gone and where we need to go, and how to effectively build. 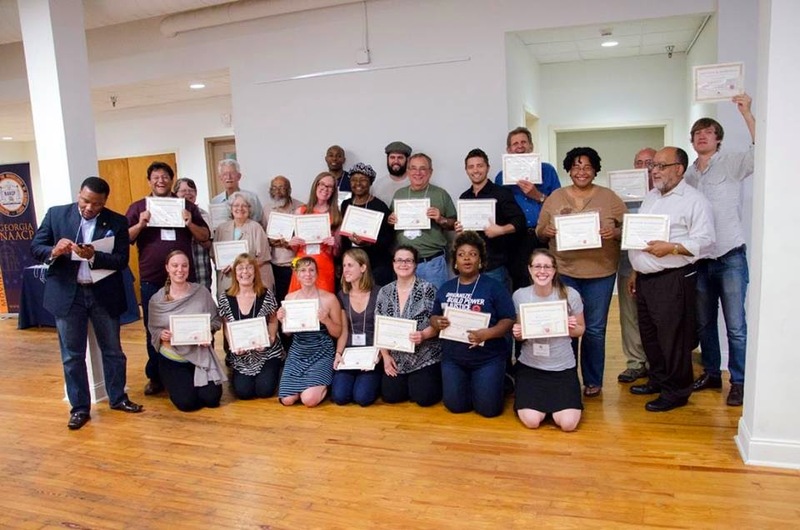 Friday night we also had a special dinner to honor and recognize everyone who put their freedom on the line to spotlight injustice in our state by participating in nonviolent civil disobedience. 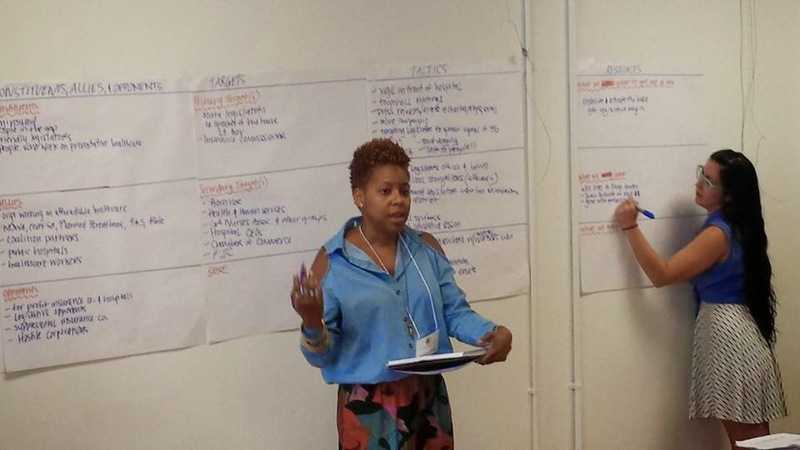 Saturday was a day of organizer skill building sessions. During the 2014 legislative session Moral Monday Georgia launched and managed to mobilize a diverse coalition every week of the session. Moral Monday brought a spot light on a parade of attacks on regular everyday Georgians that denied health care, jobs, funding for our schools, gun safety, workers rights, and a woman's right to control her body. The coalition moved so fast that there was little time to reflect on how best to move forward. If Moral Monday Georgia is to be a movement not a political moment then taking time to reflect, build skills and strategy is key. 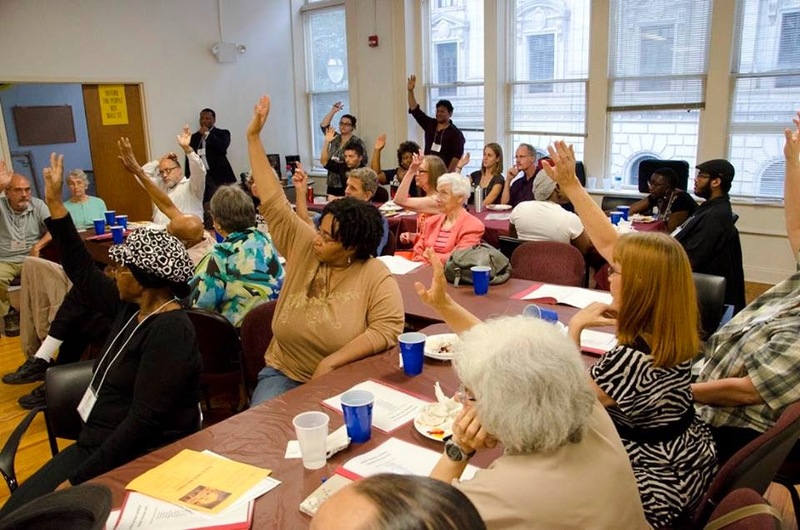 AFSC is excited to play a role in bringing people together for that purpose. Forward together, not one step back. Community Victory For Small Business! Thanks to all the community support, the sisters of DBABS Construction are celebrating their successful campaign with Occupy Our Homes Atlanta! 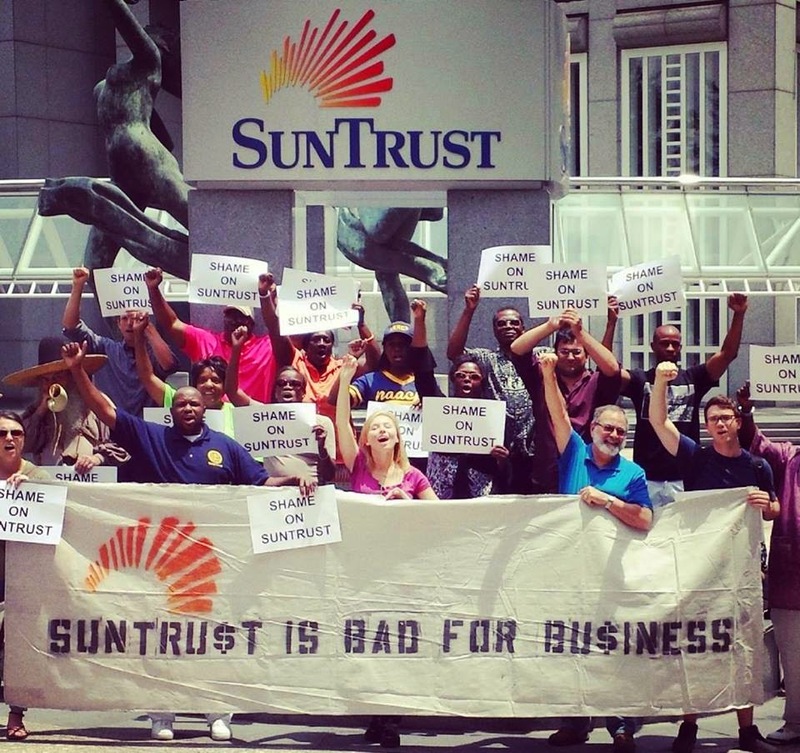 American Friends Service Committee has been excited to play a role in organizing the campaign alongside Occupy Our Homes Atlanta and we’re so excited that this longtime locally owned business will not have to close their doors! Thousands of petition signatures, phone calls to bank executives, and spirited weekly demonstrations outside the bank have produced a positive outcome for this family-owned local business. Great work!!! Campaigns that end with keeping people in their homes, farms operating, churches in service, and small businesses’ doors open everyone wins! AFSC is very proud to have been a part of DBABS’ fight and we couldn’t have done it without community help. 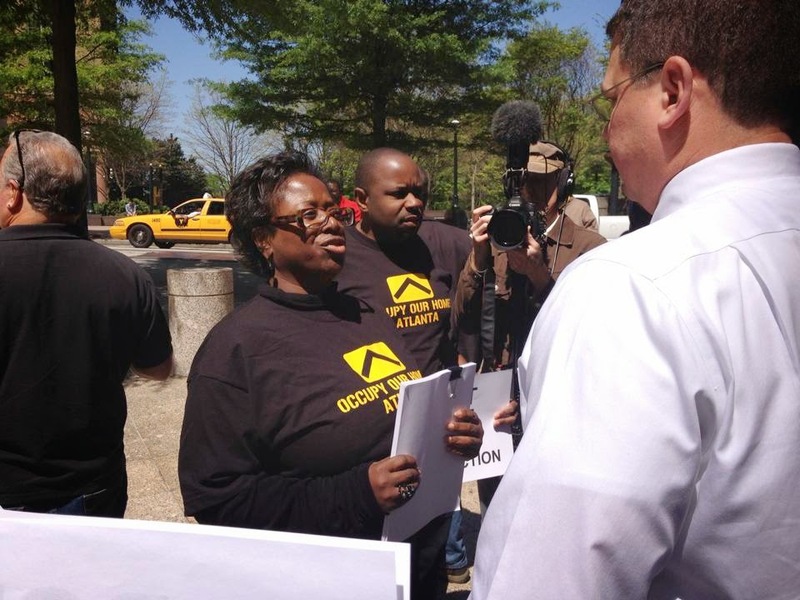 Over the next few months we hope to increase our engagement with Occupy Our Homes Atlanta as their model continues to show solid results for Atlantan’s struggling against unjust lending practices and predatory landlords. 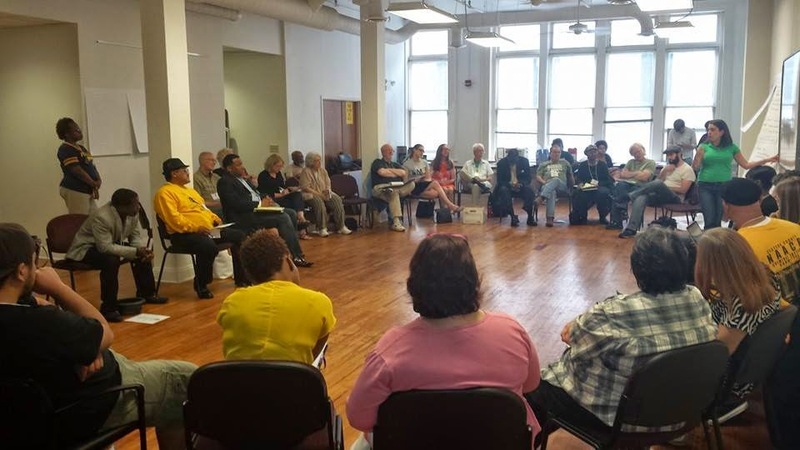 Occupy Our Homes Atlanta hold an open weekly meeting every Thursday at 7pm at our downtown office(60 Walton Street, Atlanta 30303) that we invite to come out to! DBABS plans to honor those that help support the campaign to save the small business at the Christian Family Worship Center (1401 Hosea L. Williams Drive, Atl., 30317 ) this Sunday at 11am.